In 2007, Apple unveiled an addition to its iPod family which brought a whole new level to the concept of portable media players. The iPod touch, with features akin to the new iPhone, has put to rest the question that Apply is the undisputed leader in the portable media player market. With the addition of the iPod touch, Apple now has four iPods to offer its market base. There’s the iPod Classic which offers a visual interface and is capable of handling a large music library with 160 GB of disc space. And there’s the iPod Shuffle and iPod Nano which are geared towards people who prefer carrying much smaller media players, those who do not want a visual user interface, and those that can be satisfied with a much lower disc space for storing media materials. 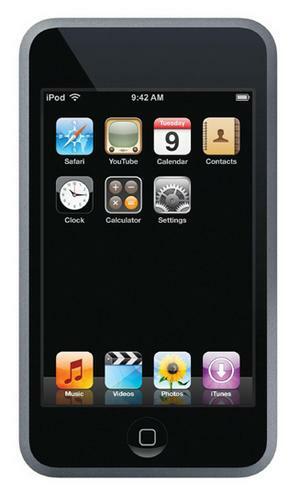 The iPod touch uses 8 or 16 GB of flash memory and offers Wi-Fi and and Safari web browser to its users. The touch is the first iPod to incorporate wireless access to the iTunes Store allowing one to download music whenever there’s a Wi-Fi connection available. Critiques have commented that Apple was wrong to release the iPod touch just months after the iPhone was released especially when the touch incorporates some of the key features of the iPhone, the most prominent of which is the 3.5-inch multitouch widescreen that contains 480-by-320 resolution of data with 163 pixels per inch. Also at $300 and $400 for a 8GB and 16GB unit, respectively, the touch is definitely more expensive. However, the display and touchscreen controls seem to get the attention away from the price tags. Browsing through folders of data, image, music, and videos by simply tapping on the scratch-free display is increases the value of the iPod touch. The new iPod is thinner than the iPhone, having dimensions of 4.3 by 2.4 by 0.3 inches and weighing merely 4.2 ounces. Although, the touch is not small enough to fit in all kinds of pants pockets the size and shape is still manageable. If you want something that will fit in all your pockets, you better get an iPod Nano. Also, unlike the iPhone, the iPod touch does not have camera nor does it have Bluetooth capabilities. File compatibility is similar to older iPods. The touch is able to play all bit rates of MP3 files including VBR, Apple’s DRM tracks or iTunes Plus, Apple Lossless, AIFF, WAV, H.264 and MPEG-4 files. It supports images that are saved in JPEG, BMP, GIF, TIF, PSD (but PSD for Macs only), and PNG. The overall performance of the touch is excellent, and the visual touch screen experience is simply great. If you already have a phone and camera, and if you have the money to spare, i do recommend buying the iPod touch instead of the iPhone.